At John Newell Mazda we’re all about protecting your cars surface. 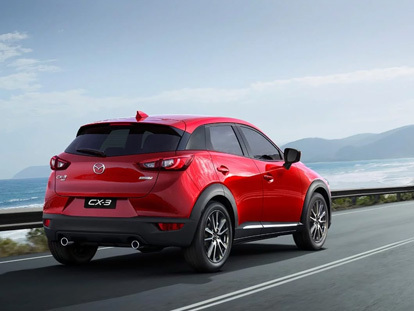 Specifically, those beautifully glossy exteriors & interiors on your new Mazda. Why? Because our goal is simply to engineer the world’s best surface care products. Products based on real science, innovative materials and total ease of use. Products that deliver maximum long term visual impact. Products that protect not only against the elements, but the ravages of time and the impact of the daily grind. That’s why our products have what we call 3S or Smart Surface Science built right in. By harnessing the performance of nanoscale composite materials, tested to extremes, 3S is your guarantee that our surface protection coatings work harder, smarter and more easily than anything else. Gtechniq Platinum Crystal Lacquer retains three times more gloss than any other product we tested. Please speak to our qualified after care consultant for any questions. For more information about our products please download the following information guides.